Portland was the inspirational city for creating Bikabout. Bike no further than a few miles and you'll see why. 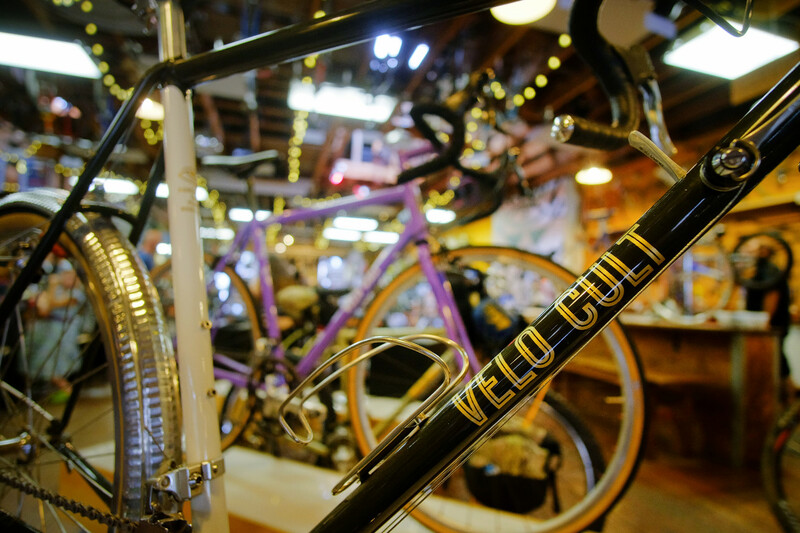 The city is housed in the #1 bike tourism state of Oregon, it's arguably the brewery capital of America and we think it has the best food scene. 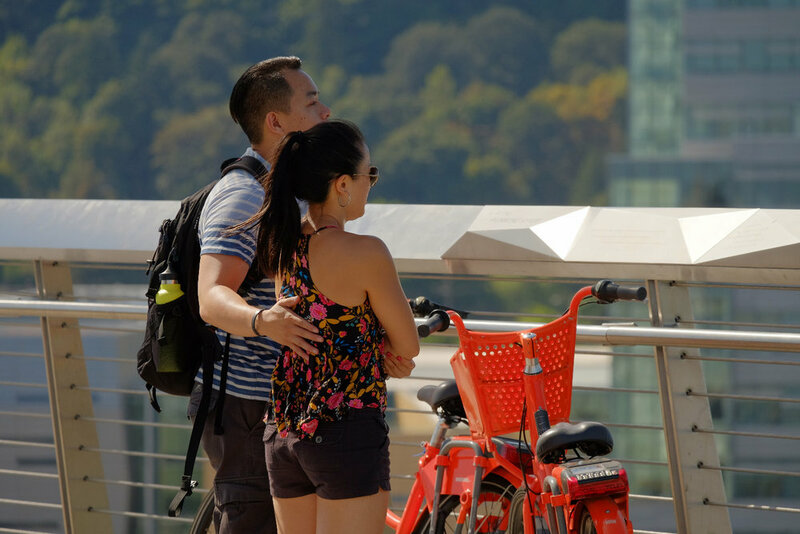 Bikabout's travel guide will help you plan your #WanderbyBike experience in Portland. Walk Score: 65. Walk Score measures the walkability of any address based on the distance to nearby places and pedestrian friendliness. Transit Score: 51. Transit Score measures how well a location is served by public transit based on the distance and type of nearby transit lines. Bike Score: 72. Bike Score measures whether an area is good for biking based on bike lanes and trails, hills, road connectivity, and destinations. Portland Bike Map (PDF)- Pick up a free hard copy at local bike shops order one here. Portland’s bike reputation precedes it. The League of American Cyclists doesn’t hand out a lot of Platinum Biking City ratings (4 total at last count), but Portland easily qualifies. Add to the mix a solid food scene, a wealth of unique neighborhoods, and more breweries than we knew what to do with, and you have the kind of biking destination that makes for easy press. Moving beyond all the glowing articles and getting down to the business of actually biking Portland, however, we found that the distinction between it and Minneapolis, Montreal, or Vancouver is not always easy, at least concerning infrastructure. Depending on where you stay and where you go in each, it's more or less a toss-up which of those 4 cities has ultimately been more successful at making biking safer. All of them have scenic bike paths connecting far-flung places. All of them use "Bike Boulevards" to make certain (mostly residential) connector streets safer for bikes. All of them have the occasional soaring, majestic bike/pedestrian-only bridge to make you feel special. So don't think that Portland has some magical advantage over several other similarly bike-centric places in North America. Yes, it's nice to bike there, but it's honestly just as nice in several other places. What Portland does have, however, is a bike identity. Seattle is "big business in the Pacific Northwest." Vancouver defines itself by its stunning surroundings, its Olympic heritage, and its avid sports scene. Montreal is the European-inspired historic jewel of Canada's east. Minneapolis is "just as good as Portland, but with tons of snow." But Portland defined itself early on with the bicycle, and bikes still permeate nearly everything there. Portland spawned the younger, black jeans, beard-and-beer-and-bikes crowd in a way that no other city has, to the point that Portland quickly became identified with biking in general. "Portland and bikes" is a co-branding exercise gone gangbusters. The bike was perhaps the most central, visible tool with which Portland became "Portland." It's important to note that Portland is more than just seriously crafty beers, house-cured gourmet pickle/charcuterie plates, full sleeve tattoos, and staggering numbers of beards that wouldn't look out of place in a Ken Burns documentary about Appomattox ...(best t-shirt I saw there: "The Bearder The Better'). Those things are there in greater density than anywhere else, but there's plenty of regular folks, 15 IBU pilsner, and top-shelf food that isn't too trendy. At times Portland can be cartoonishly "bikey," but I'm glad someone is acting as the petri dish for the rest of the country. I'm glad that Portland has the cajones (and the political climate) to push the envelope farther and farther, to integrate bikes more and more into regular life for more kinds of people at all income levels. One final note on the beer: I don't yet know what an over-saturated "peak beer" marketplace looks like, in which good brewers just can't make a living, but I have a feeling that Portland and its 150+ (and counting) breweries will find out before anyone else does. In the meantime, there's so much good beer there that you simply will not be able to sample it all. But it's fun to try. People in Portland take their bike etiquette a little more seriously than in most places, so brush up on your hand signal skills. Politely announce when you’re passing “on the left,” and signal every upcoming turn, or incur some bearded wrath. Cyclists here were overwhelmingly polite and friendly, but it gets crowded out there, and making your intentions clear to other cyclists keeps everyone happy. Portland has built just about all the infrastructure you could ask for, so danger from major car traffic is rarely a concern. There are, however, some lingering diagonal embedded train tracks across some streets, and they send even experienced riders to the emergency room with alarming frequency. Cross such train tracks at as close as you can get to a 90 degree angle, so your front wheel doesn’t become suddenly lodged in the groove, throwing you instantly over the bars. If you have a lighter bike and are so inclined, you can also “bunny hop” the front wheel lightly over the tracks to help mitigate the risk. We never had much trouble finding legitimate places to securely lock up a bike, even a bakfiets. We believe the bike theft levels to be about what you’d expect for a major city with a thriving bike scene, which is to say that leaving a bike out on the street overnight is probably unwise without several high-quality locks securing both wheels and the frame. There’s “bike culture,” and then there’s “Portland-level bike culture.” Whatever you’re doing on a bike in Portland, it will not surprise anyone. Biking 10 miles each way to work wouldn’t raise an eyebrow. Putting our whole family onto one bakfiets cargo bike to go to dinner didn’t even get us noticed. Portland is at that point where the simple act of riding your bike to do normal things is no longer considered exceptional, risky, or frankly even very interesting. Portlanders sometimes take bike culture to silly levels, but people do silly things in every city. 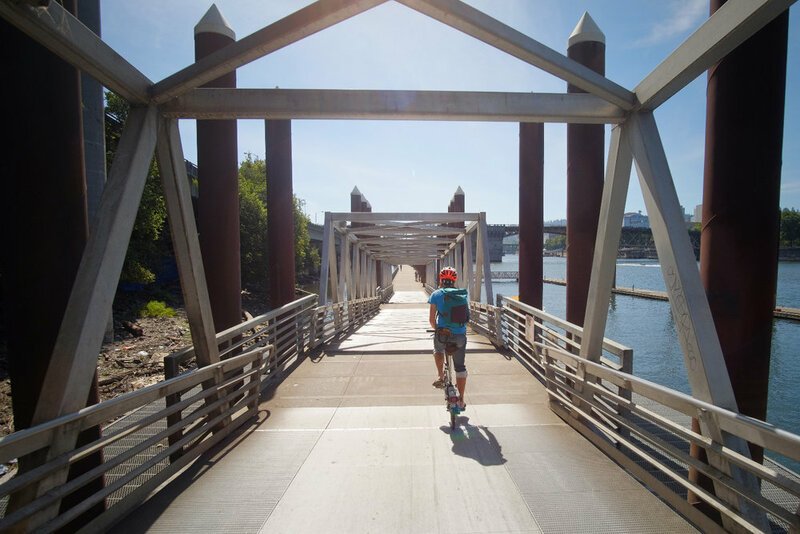 These routes were curated by local Portlandians who wanted to share their #BestBikeRide with you. Print off the map for free! Ambassadors Needed! If you live in Portland and love food, music, art or just being outdoors? Curate a route for us by inquiring here. Biketown (bike share)- $12 for 24 day pass for sturdy city bike with front basket, lights, fully enclosed chain guard and skirt guard. The ebike Store - $70 daily for electric bike, which can be applied to the the purchase of an ebike. Everybody's Bike Rentals & Tours - $25+ daily for commuter, road, vintage, touring, kid's bikes or kid's trailer bikes and trailers. All prices include lights, lock, helmet, bike map and rain gear. Panniers rental for extra fee. Waterfront Rentals - $25+ daily for city, road, tandem, mountain or kids bikes. Kid's seats, trailers trailer bikes available, too. Helmets and locks included. 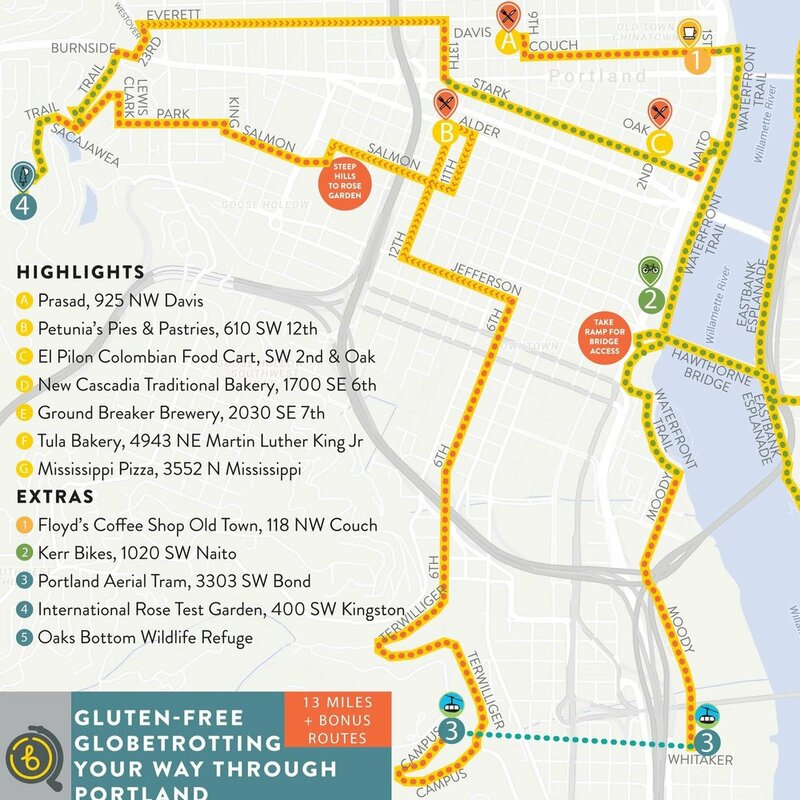 Beercycling - $1475/person for a 5 day, beer centric bike tour from Portland through the Columbia River Gorge, aka waterfall alley. 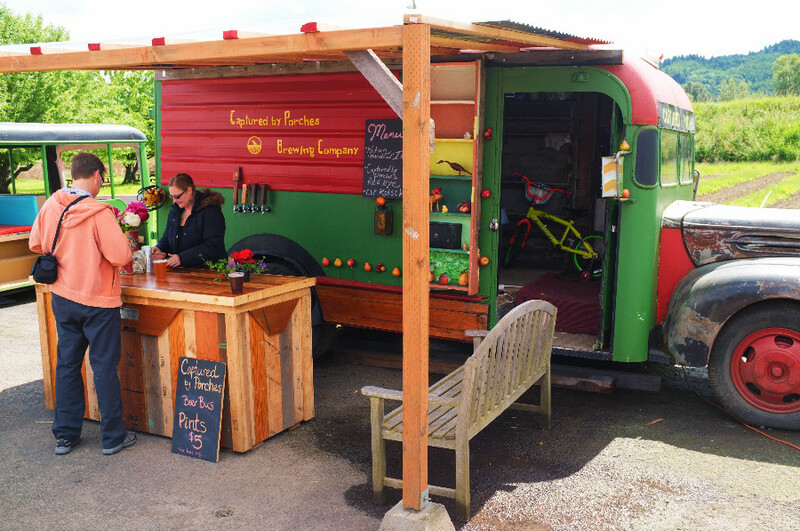 Everybody's Bike Rentals & Tours - $39+ for "Beyond Portlandia, "Tastes & Treasures" and "Unbeatable Brews" tours. Tri-Met (Map) - $2.50 for 2.5 hours or $5 for 24 hours. "We make it easy to combine biking and transit. You can park your bike at the station or bring it with you on the bus or train (if there’s room)." 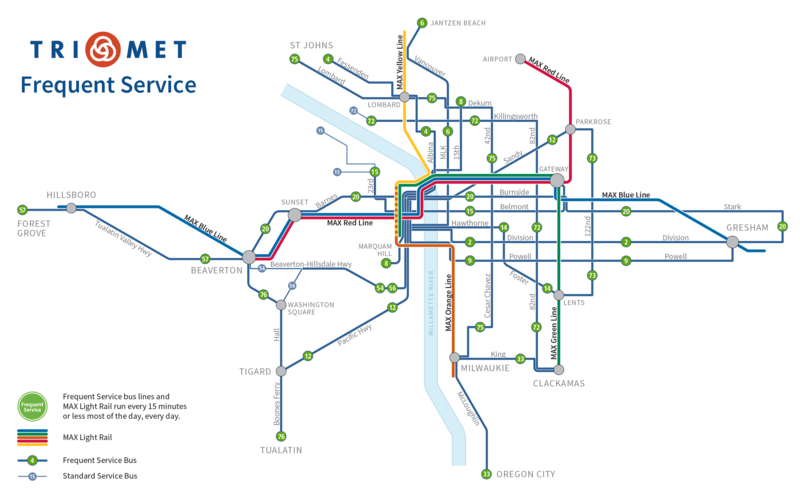 Airport to Downtown - take MAX red line to Rose Quarter or Pioneer Square. Portland Aerial Tram (Map) - $4.70 per adult, free for kids 6 and under. Bikes allowed on board and there is a Biketown station at the base of the tram. Breeze - $20+ one way, $10 extra for bike for service between Portland Union Station or PDX to Sandy, Government Camp, Welches, Warm Springs, Madras or Bend. Bikes must be boxed or bagged. Columbia Gorge Express - $5 roundtrip between Gateway and Rooster Rock or Multnomah Falls. Operates Friday through Sunday (and federal holidays), May 26 through Sept. 24 in 2017. 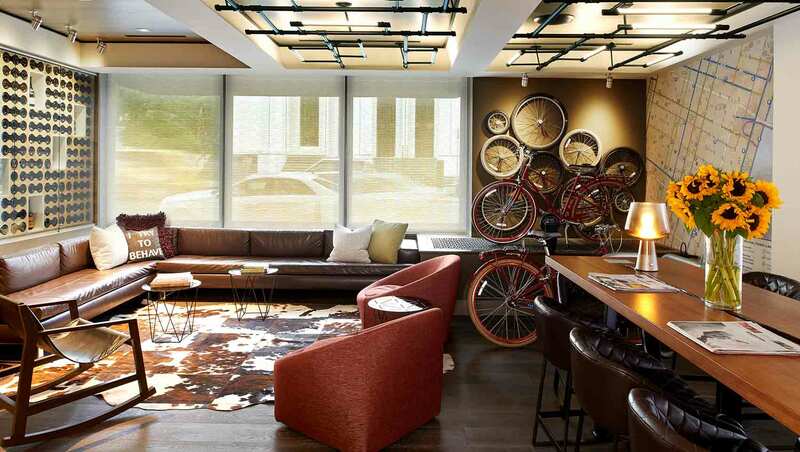 "Each bus can accommodate up to three bikes in the luggage compartment under the vehicle." Bikabout donates 25% of annual revenue to local advocates. 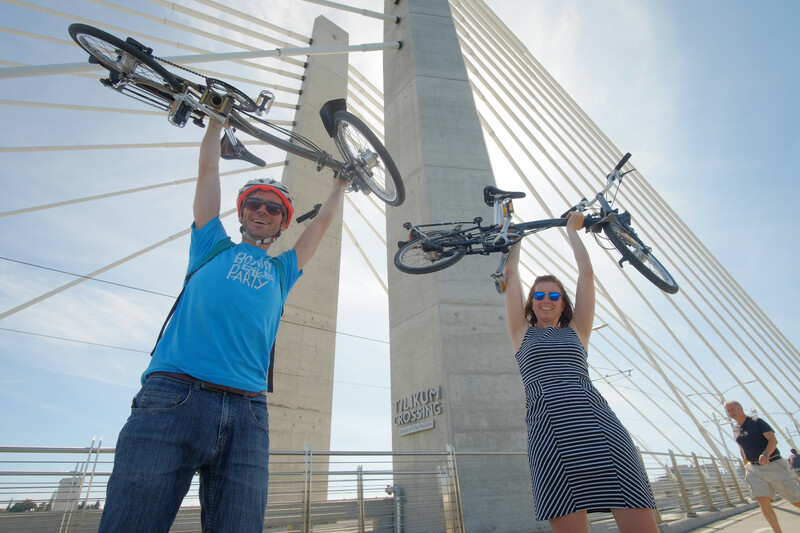 You, too, can power better biking in Portland by donating to The Street Trust!